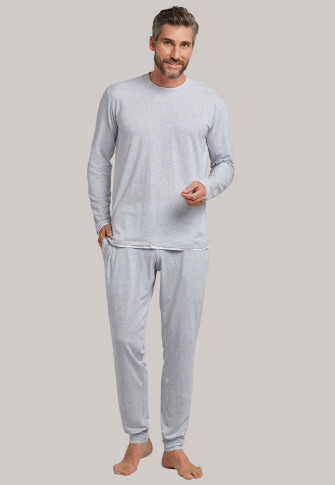 These long men's pajamas provide maximum comfort, thanks to the soft, stretchy single jersey which ensures a very comfortable fit. To such an extent that a man wouldn't want to take it off ever again! 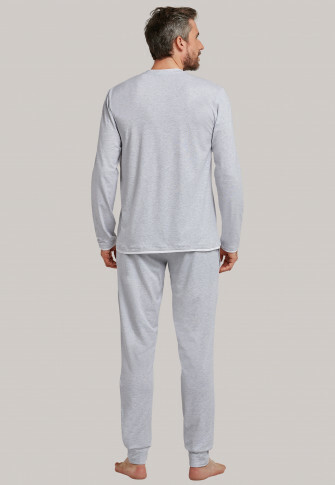 As a "sleep-lounge" suit, the two-piece set with its round neckline, fashionable layering highlights and sporty logo-woven elastic waistband is also ideal for daytime wear. 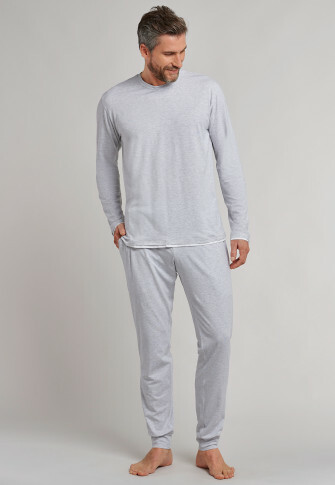 Relax, sleep, feel good? No problem in this all-rounder! Sleep & Lounge: for sleeping and relaxing!